National Library week may be over, but the Advocacy and Legislation Committee wants to help you keep the party going at your library. 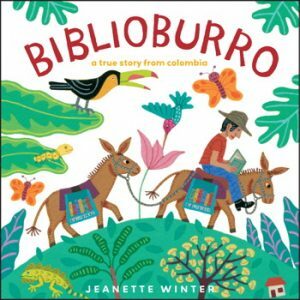 Picture books set in the library highlight the joy and importance of reading. For young children these books guide conversations about familiar experiences and reinforce the relevance of a library in their lives. In short, these books advocate for the library. Below is a limited selection of picture books celebrating the library. Create a display or book talk these titles and let your families inspire their own advocacy for libraries at home! 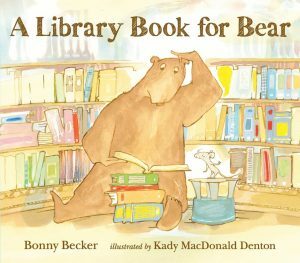 What are some of your favorite picture books that celebrate all things library? Comment below and help our list grow! A curmudgeonly bear does not want to go to the library. After all, he as seven perfectly good books at home. When his friend Mouse persuades him to visit the library he discovers more than he could have imagined. 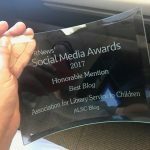 This story highlights the lengths library lovers will go to in order to help someone understand what libraries can do for them, and help find their just-right book. Luis Soriano is a Columbian school teacher who wants to share his love of books with folks who don’t have access to them. Each weekend, he and his donkeys Alfa and Beto, make the trek high into the mountains where he brings books and storytimes to communities without libraries. Luis reminds us that just one person can make a difference. An avid reader and an avid builder are encouraged by a school librarian to try out each other’s passions. This leads to some truly awe inspiring book-based architectural design. A fanciful book, this story reminds us of the library atmosphere we’d like to facilitate. Why did the chicken cross the road? To attend library storytime! 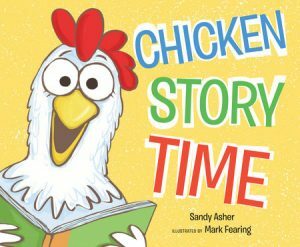 Everyone loves this library programming staple: children, their families, and the town’s chickens! 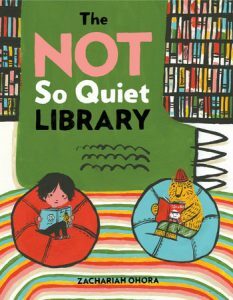 This vibrant, silly book celebrates the flexibility and creativity of librarians and reminds us that storytime is for everyone. A tale of immigration, family, and dreams. 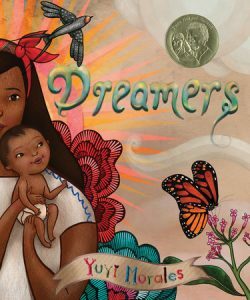 Morales’s picture book uses beautiful mixed media illustrations to tell her own story of coming to a new country with a new language. In it, we also see the vital role a library can play in making a young family feel at home. Madeline desperately wants a gold star from her teacher. But, stars are for good readers and Madeline firmly believes that she never will be. Enter Bonnie, a fluffy library therapy dog. Bonnie is a great listener who doesn’t laugh when Madeline’s words don’t come out quite right. Eventually, Madeline gains the confidence and skills to earn her star. Thanks to he hundreds of read-to-dogs programs at libraries around the county, many real-life Madeleines gain the confidence they need to read. 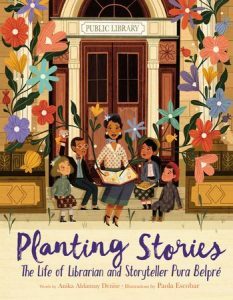 An inspiring picture book biography of Pura Belpré, New York’s first Puerto Rican librarian. 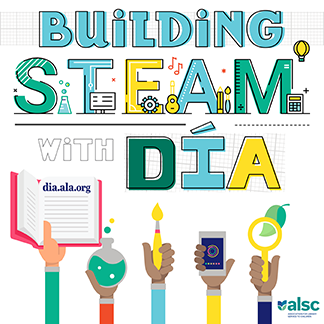 She transformed library services through outreach, bilingual programming, and writing (when she discovered that there were no books available for her young patrons in Spanish, she made her own). A Spanish-language edition, Sembrando historias: Pura Belpré: bibliotecaria y narradora de cuentos, is also available. 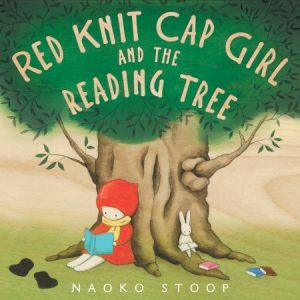 In this book, the third Red Knit Cap Girl story, a young girl builds a do-it-yourself library inside the nook of her favorite tree. 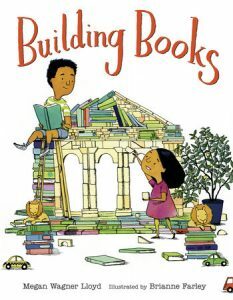 This story expands our understanding of what a library is and encourages readers to cozy up and build their own. 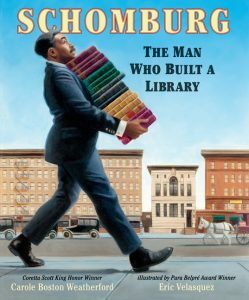 This beautifully illustrated biography centers on Arturo Schomburg, an Afro-Puerto Rican law clerk and curious book nerd who lived in Harlem. His unyielding dedication to collecting materials that highlight work from Africa and the African diaspora would eventually become the important Schomburg Center for Research in Black Culture. When a five-headed monster smashes around the library loudly eating books, Oskar and his bear Theodore step in to save the day. It turns out, even for monsters, books make better stories than snacks. Luckily, this book isn’t aimed at discouraging curious book gobbling babies, its target audience is a couple years older. This was a team effort of the Advocacy and Legislation Committee: Brigid Gallagher-Sauter, Barbara Genco, Nate Halsan, Sarah Okner, Erica Ruscio, and Joel Shoemaker.